Enjoy a sight seeing tour in your arrival city or extend your stay in China to see more sights such as the great wall or Guilin and Xian. We can add more days and tours to suit your requirements. Contact us for the holiday price based upon your preferred departure date and arrival airports. 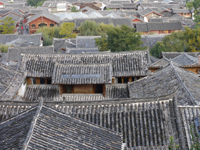 This tour can also combine with most of our other China tours as a great extension. Transfer to your departure airport in China for a flight to Chengdu. Upon arrive be met by our guide and transfer to your hotel. After a rest, we will start our tour and visit the Chengdu Giant Panda Research and Breeding Base. 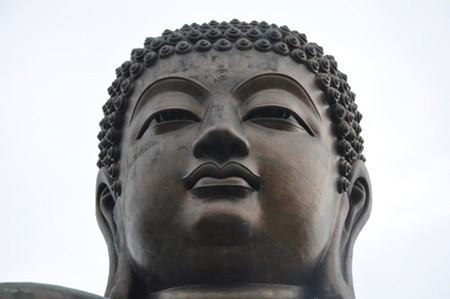 After Breakfast we travel to Leshan and visit the Giant Buddha statue. Then we take a fascinating cruise along the river to see country life along the banks. Travel back to Chengdu and take a flight to the city of Guiyang, which is home to many ethnic minorities in the Guizhou province and surrounded by beautiful natural scenery. Drive to the greatest waterfall in China and one of the best in the world Huangguoshu waterfall (yellow fruit tree waterfall). Visiting the falls is a tour highlight due to the breathtaking scenery and truly unforgettable journey! 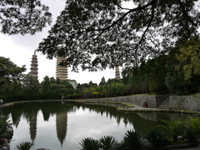 On route, we will also visit the scenic Tian Xing Park. Tonight's dinner is Sichuan hot pot. In the morning, we visit the hundreds of years old Hongfu Buddhist Temple. Many Chinese people practice Tai chi in the park so we can join in. Enjoy a tasty vegetarian monks meal for lunch. We leave Guiyang by flight for Kun Ming, the capital of Yunan and also the 'Spring City' of China. Today we visit the Stone Forest, a vast area of limestone pillars that are formed like a natural forest. After lunch, we visit 'Colourful Yunnan' where we get to know the unique local products, and have a taste of its local well-known Pu'er tea. After the tour we take a flight to Dali. Tonight's dinner is Yunan cuisine. 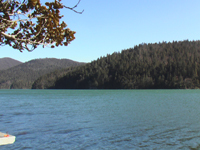 Drive to Erhai Lake and have an enjoyable cruise on the Lake. 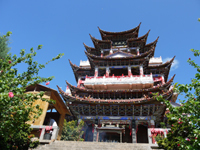 Enjoy the local Tea Ceremony and visit the Three Pagodas. Afterwards we explore the residential communities of the Ethnic Bai tribes in the Ancient town of Dali. Tonight's special dinner is the Royal Palace Nan Zhao Style. Tonight's special dinner is the Royal Palace Nan Zhao Style. 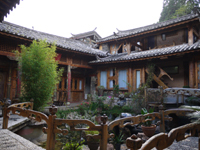 After breakfast we drive to Lijiang, a beautiful shining jewel on the Northwest Yunnan Plateau neighbouring the Tibetan Plateau. 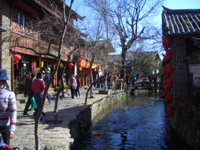 Lijiang is granted World Cultural Heritage status and is a wonderful hidden gem, seen by only a few 'clued up' tourist to China. 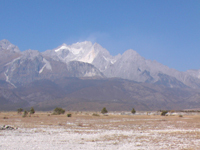 After lunch, we visit Jade Dragon Snow Mountain (by cable car), Temple of Jade Peak and the White Water river. After are tour we watch the traditional Ancient Naxi performance. After breakfast, we visit the Old Town with a maze of narrow streets dating back to the Yuan dynasty as if we stepped back through time. Afterwards we drive to Shangri-La and visit the famous Tiger Leaping Gorge. Today we visit Songzaili Temple and Pudacuo National Park by 'Evironmental car', then onto the Tibetan Cultural Village. Our dinner tonight is Tibetan Style. 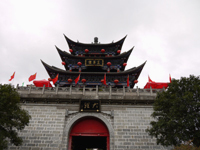 Fly back to Kunming and have a tour to see the West Dragon Gate and Huating Pagoda. The rest of day is free at leisure. Our guide will meet you at your hotel and transfer your to the airport for your international departure. If you are extending your stay we can arrange optional tours as required. The price may be different around the bank holiday period in the UK, and the festival periods in China. Please contact us for confirmation. Includes all internal flights in China (from day 2 to day 10). International Flights - We can arrange flights from your preferred departures airport. Please enquire at the time of your booking. Internal flights on day 1 & day 11 from your preferred arrival / departure city. Our Accommodation: We take a great deal of time and effort to source our hotel selection in each city for our travellers enjoyment and our China hotels in major cities are good 4 star & 5 star rating. In Hong Kong it is between 3 and 4 star subject to availability. We also monitor our established hotel selection continually based upon each of our customers feedback received over the years. 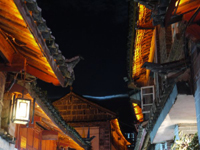 Understandable in some remote areas of China such as Yunnan and Guizhou, the standard of hotels available can be lower, but we will provide you with one of the best available in the area. Please visit our Hotel page for full accommodation details. Flights As agents of airline consolidators, we can obtain international and domestic flights in various class seats with many reputable airlines. We can also provide flights from many UK regional airports and depends on availability we will try to arrange direct flight when possible, however allocation can be limited. If you wish to be booked on a particular airline, please specify at the time of booking (supplement may apply). Alternatively, for the cheapest deal we recommend you book your international flights at time of booking, as this can save you £££s off your final holiday price. Tour Itinerary Facts: Our tour is arranged on a small group basis, as we feel this gives our travellers more flexibility and enjoyment. By reducing the group size our experienced local guides are able to get to know you all individually and show you the true beauty of China. This tour is Guaranteed departure from 2 people. Add on tours and city extension available, for details visit Optional tours page. Your Meals We include all breakfasts (mixture of western & Chinese cuisine) at your hotel and most Chinese style lunches and dinners, which are all pre-booked as shown in your itinerary. Each lunch and dinner menu is selected to ensure you can try a wide variety of tasty traditional dishes whilst in China. We feel it is also an important part of your holiday experience to try buying a few meals by yourself whilst you're in China and for your convenience the hotels we select provide a good choices of Chinese cuisine with English menu. Alternatively there are plenty of restaurants to choose from around the main sightseeing area in most Chinese cities. A good meal (dinner) in a restaurant should cost about £5 per person.